Carrying your gear in the Alienware Orion 17.3" Messenger Bag is as comfortable as it is convenient due to the extra-thick, padded shoulder strap. Alien accents throughout the bag, including the bold, black chrome Alien Head icon on the front, set this bag apart from the crowd. 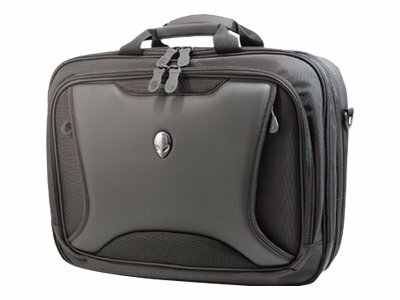 Designed with style and accommodates large laptops up to 17.3". Given TSA's use of random screening protocols, TSA reserves the right to re-screen any bag or laptop regardless of the design of the bag. Fits notebooks up to 17.3"
Checkpoint Friendly Laptop Bag, TSA compliant. Leave your laptop in the bag when passing through airport security checkpoints.